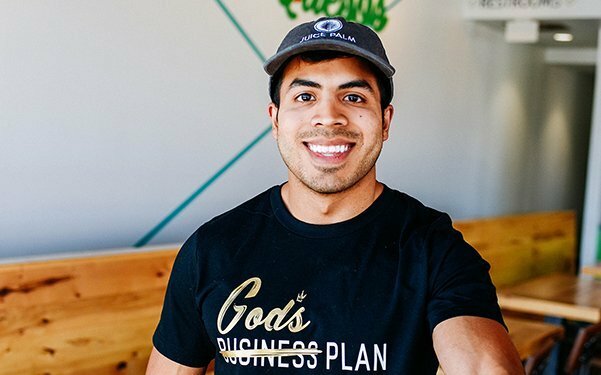 Sitting with Omar Kasim at his organic cold-pressed juice bar, I got the scoop on his comeback, as well as the process of building Juice Palm in the wake of losing Con Quesos over a year ago. 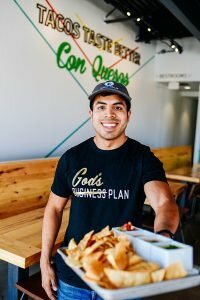 Con Quesos started out as Omar’s honors thesis, which he accelerated into a full-blown business plan. Upon pitching his idea, he realized that this was something he could jump into head-on. 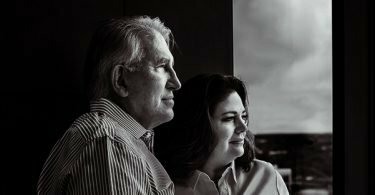 In need of capital, he connected with an investor that had a strong background in franchising and the restaurant world. In its first year of business, Con Quesos flourished, winning accolades left and right. From being listed as one of the “Top 10 Restaurants in Fayetteville” on TripAdvisor, to being “Best New Restaurant” runner-up, Con Quesos was quickly becoming a hot spot in the city. After such a successful year, Kasim met with his investor to renegotiate their agreement in the hopes of expanding. Rather than renegotiate a deal, the discussion resulted in what he calls a hostile takeover – Kasim was effectively relieved of all managerial duties and pushed out of his business. Kasim said that, while the takeover was hard to handle, he had seen it coming. Having been kicked out of the business, Kasim saw quality quickly fall to the wayside, with the unnamed investor foregoing the finer details that made Con Quesos unique. He could only watch as quality spiraled down due to high turnover and customer service falling out of focus. After the takeover, Kasim took some time to soul search. Rather than take a corporate job, he rekindled the entrepreneurial flame. He had been conceptualizing a juice bar, and came to build Juice Palm in uptown Fayetteville. 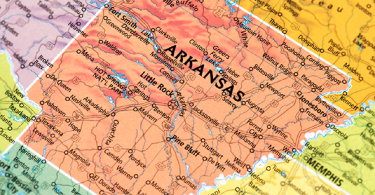 His idea was so well-received by the community that he signed a lease in the 8th Street Market in Bentonville – before even opening his first location. In March of this year, Con Quesos’ investor reached out to Omar – the business, he says, was insolvent. It needed an influx of capital just to keep the doors open. Omar met with the investor and walked away sole proprietor of Con Quesos. He says the decision to take back Con Quesos was initially unappealing, but the thought of being able to take a dwindling business and make it successful again was what got him on board. And for Kasim, Con Quesos was like his first child. He had put blood, sweat and tears into building Con Quesos, and he had brought it to its peak before it came tumbling down – it can only go up from here. While still running Juice Palm, Kasim has fallen back into Con Quesos with a passion to bring it back to its former glory. He met with the staff, restructuring and re-organizing the restaurant. By focusing on the 3 C’s: cleanliness, customer service and consistency, Kasim believes that Con Quesos is headed back to the top. Splitting his time between his two businesses has been a challenge, and he often pulls 16 – 18 hour days. Kasim explained that Juice Palm, while successful, is still in its infancy stage. With such a heavy customer focus, he has to make sure that staff and customers alike are educated on the variety of products offered. Kasim is still at Con Quesos every day to help with rushes, and he likes to show that he’s back and is making things better. Kasim was welcomed back by older employees, offering to come and work with him again, and even vendors, who, upon hearing he’d returned, offered to extend pay schedules to help cash flow. A testament to his leadership and positivity, maintaining these positive relationships (in business and in life) is not only the right thing, but the practical thing to do.